The 'Yorkshire pot' is a legendary roast, traditionally containing five de-boned birds in one enormous roasting joint. 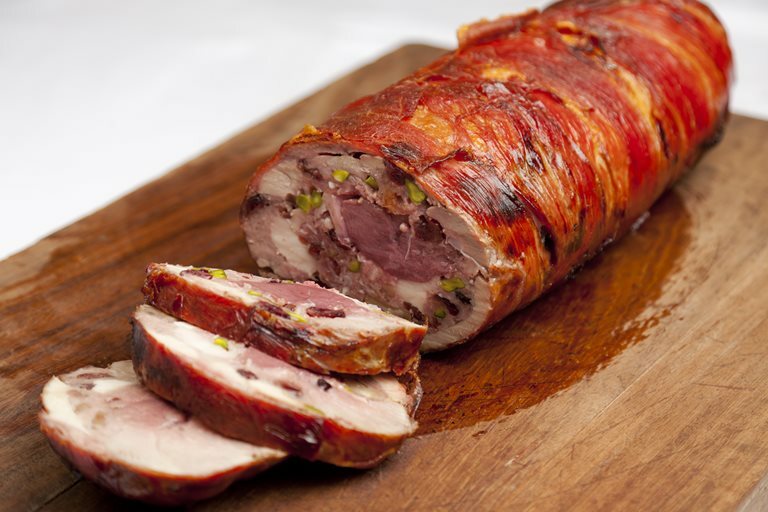 James Mackenzie's five-bird roast recipe can be made at home, cutting the meat into strips and rolling in air-dried ham. Better still, it can be prepared the day before cooking. Five-bird roasts often contain only game birds, but James adds chicken to lighten the flavour. Behind every strong man there’s a strong woman and never has that maxim rung truer than at the Michelin-starred Pipe and Glass, where talented chef-proprietor James Mackenzie resides with his equally capable front-of-house wife, Kate.